Where can I find out why health insurance companies deny coverage to some people? Home / FAQ / Where can I find out why health insurance companies deny coverage to some people? Health insurance is a necessity for most people to protect financial freedom and ensure continuing good health. While most people get insurance through an employer-provided group health insurance, many Americans are stuck trying to get coverage through private health insurance companies. Unfortunately, health insurance companies can and do deny coverage for many individuals. 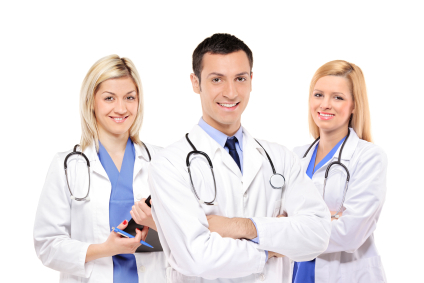 Find a private health insurance company now! Use your zip code in the box to receive health insurance quotes for your needs! The leading reasons that a health insurance company would deny coverage to an individual are pre-existing conditions, health markers that the insurance company deems as risky and poor health habits such as smoking. A pre-existing condition is any medical condition that existed before an individual applied for, or was accepted for, a health insurance policy. Many applicants are turned down for coverage because they have a pre-existing condition; health insurance companies generally do not want to pay the high medical bills for the services the participant will definitely use. Common pre-existing conditions include diabetes, heart disease, cancer, and HIV. However, a study conducted by the Kaiser Family Foundation in 2001 tracked the health care coverage responses to seven hypothetical insurance customers of various age and demographics; it found some loose interpretations of the pre-existing condition definition. Even in some instances where a policy was extended to the imaginary customer, 28% of the time there was a clause, or rider that excluded coverage for the pre-existing condition or any conditions in the same affected area. For instance, the faux customer with hay fever was offered a policy that excluded any coverage for hay fever treatment and any other treatment for the entire upper respiratory system. Additionally, the hypothetical customers were offer coverage with higher rates 13% of the time and higher rates with limited benefits 12% of the time. All totaled, the theoretical customers were able to obtain the benefits for which they applied for an average rate only 10% of the time. The highest percentage, 35%, was the total percentage of complete denials of coverage. So, a pre-existing condition can be loosely interpreted as any medical condition that health insurance companies feel will increase the risk of requiring medical services that will have to be paid by the insurance company. What are health markers that insurance companies deem a risk? Health insurance companies use statistics about health and medical conditions to assess a person’s risk of needing to use the medical coverage. Just as pre-existing conditions make it statistically more likely that a consumer will need to use the medical coverage, certain health markers also statistically increase that risk. Insurance companies will deny coverage because certain health markers indicate the possibility of future ill health. Health markers such as being overweight could result in a denial of health insurance coverage because, statistically, people who are overweight are more likely to suffer from heart disease and diabetes; treatment for those diseases are a costly prospect that many insurance companies want nothing to do with. Health insurance companies have their own sets of guidelines to apply these health markers to. If you don’t meet the guidelines, then you are likely to be denied coverage or offered coverage that has exclusions, limited benefits, or higher premiums. What habits do insurance companies consider risky? Certain habits can cause a high risk health insurance application for coverage to be denied; these habits definitely lead to poor health and disease. Bad habits such as smoking or chewing tobacco have such a high rate of disease associated with them that most health insurance companies want nothing to do with such applicants. Other bad habits such as drug use and drinking are also red flags to insurance companies. How does the health insurance company get my health information? When applying for health insurance coverage, there is usually a questionnaire about health markers and pre-existing conditions. The application will probably also include a waiver for the insurance company to obtain your health records. Many insurance companies will not extend coverage until you have visited a doctor for a physical exam that checks for health markers and pre-existing conditions. Submitting an application that is fraudulent or contains omissions could result in the insurance company revoking your coverage. What are the options for someone who has a pre-existing condition or poor health markers? New legislation from The Affordable Care Act of 2010 has focused on the coverage gap for millions of Americans from pre-existing conditions. Health insurance companies can no longer refuse coverage to children under the age of 19 because of pre-existing conditions. Further legislation will be enacted by 2014 to help adults who are uninsured because of a pre-existing condition. States also have individual rules pertaining to how long an insurance company can exclude coverage for a pre-existing condition; the longest is twelve months. Furthermore, in the study referenced above, each hypothetical consumer applied for coverage with 60 different insurance companies; six of the seven theoretical consumers received offers for the full coverage they applied for at standard rates. Even the middle-aged smoker with high blood pressure and the women who was a breast cancer survivor had offers for full coverage at average rates; only the one consumer who theoretically had HIV, a hard sell to any insurance, met with 100% rejection. So if one company denies coverage, move on to the next one. You have many options, but the first step is to start looking for them. Find coverage with the right insurance company now. Use your zip code to find health insurance rates for your area. Can small health insurance companies provide adequate coverage? Are there any health insurance companies for mentally ill people?